Add sophistication and functionality to your home with this wine cabinet. 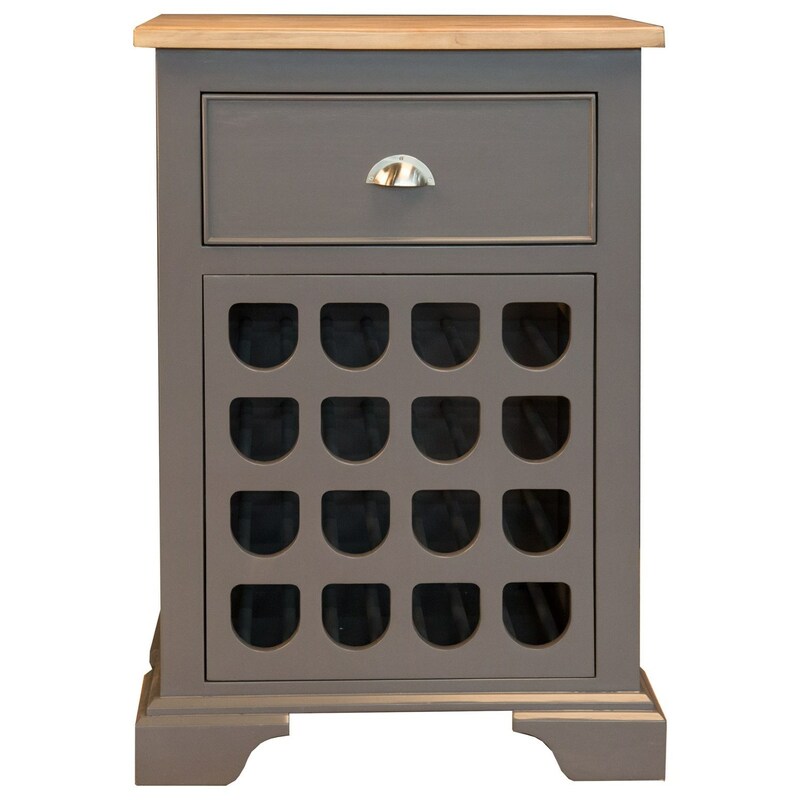 Open wine bottle storage for up to 16 bottles and a drawer designed to conveniently house bottle openers make this piece essential for any wine connoisseur. The top of this piece is perfect for pouring and serving drinks without compromising space with a full bar. Vintage nickel brushed hardware provide elements of the farmhouse style while simple lines add a touch of coastal living. Available in a two-toned finish consisting of Gull and Smoked Salt, this solid New Zealand pine wood wine cabinet is sure to be the highlight of any party. The Port Townsend 16-Bottle Wine Cabinet by AAmerica at Reeds Furniture in the Los Angeles, Thousand Oaks, Simi Valley, Agoura Hills, Woodland Hills, California area. Product availability may vary. Contact us for the most current availability on this product. The Port Townsend collection is a great option if you are looking for Transitional Casual Cottage Coastal furniture in the Los Angeles, Thousand Oaks, Simi Valley, Agoura Hills, Woodland Hills, California area. Browse other items in the Port Townsend collection from Reeds Furniture in the Los Angeles, Thousand Oaks, Simi Valley, Agoura Hills, Woodland Hills, California area.